It’s worth pointing out that Volkswagen’s business case in China is rather complicated. The German automaker here has two joint-venture partners: Shanghai Automotive Industry Corporation (SAIC) and First Automobile Group (FAW). Out of the five SUVs mentioned, three are made by SAIC while two are made by FAW. Given Ayala’s existing partnership is with SAIC Volkswagen, that pretty much eliminates the Tayron and T-Roc from contention. This leaves the Teramont (and its new 5-seater derivative, the Teramont X), the Tharu, and the T-Cross as the three main contenders. True enough, when Mr. Estrella gamely posed for photos around the Volkswagen pavilion at the show, he did so only with a handful of vehicles: the I.D. 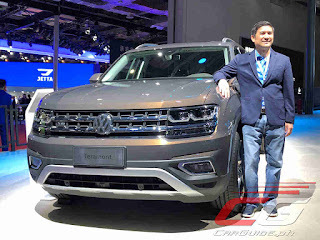 Roomzz Concept, the Lamando, and then, the Teramont (not the Teramont X), the Tharu, and the T-Cross—perhaps a subtle way of indicating which SUVs have the strongest chance of getting a Philippine release. As reiterated before, the Teramont is already a given (Volkswagen Philippines needs a 7-seater SUV), so that leaves the Tharu and the T-Cross. 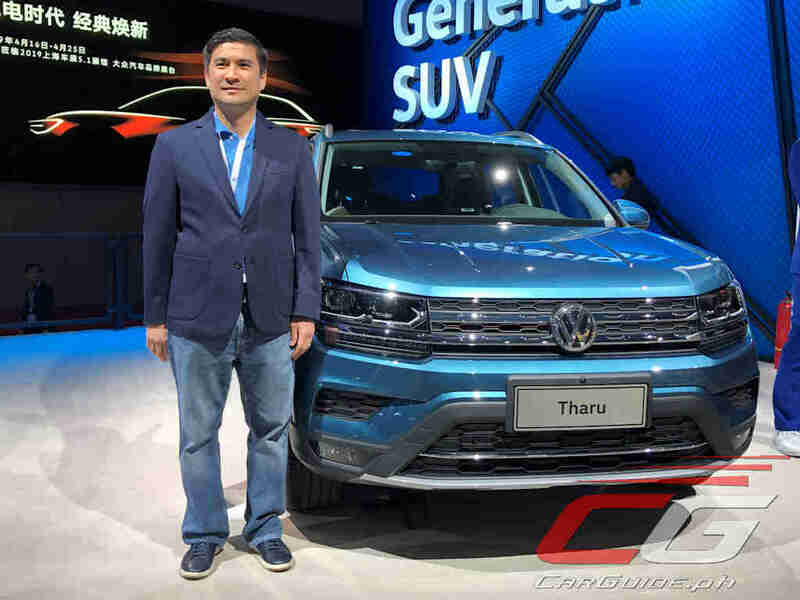 Taking Volkswagen Philippines’s lineup as a whole, the Tharu is just too close in price, size, and positioning with the Tiguan. 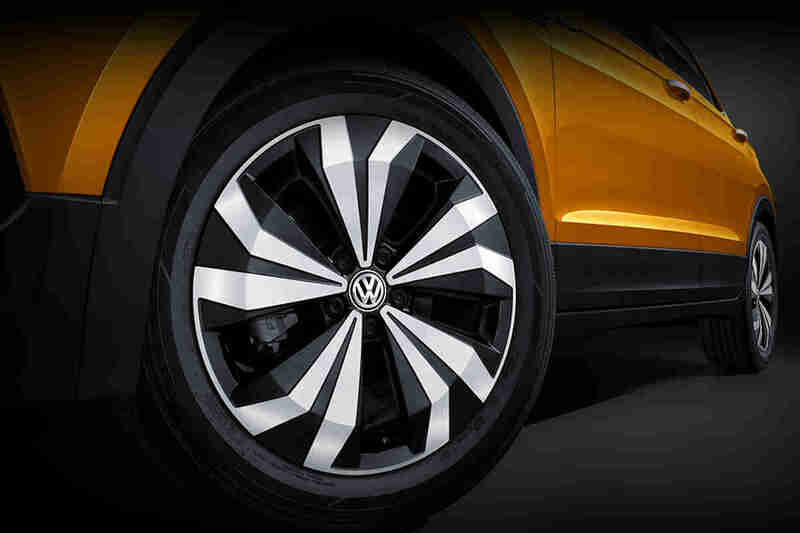 Certainly, Volkswagen may take a gamble and kill off the Tiguan nameplate for an entirely new one (just has they have done with the Polo/Santana and Jetta/Lavida), but given they can simply introduce the second-generation Tiguan (a model that’s also produced by SAIC-Volkswagen), they’ll most likely continue with the Tiguan rather than market a new nameplate. 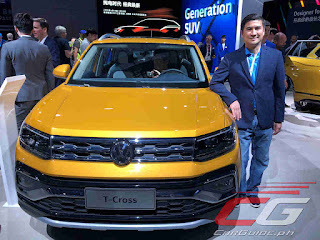 This leaves the T-Cross as the most likely candidate for Volkswagen Philippines to bring into the country. Engineered specifically to be a global vehicle, including emerging markets, the T-Cross is basically what Volkswagen calls “the Polo in SUV form.” Yet, it’s managed to take on an entirely new aesthetic compared to the European version. It has an entirely different frontend and more body cladding, perfect for markets such as Asia that equate SUVs to looking rugged. What’s even more interesting is that the T-Cross for China doesn’t have Europe’s 1.0-liter turbocharged 3-cylinder engine. In China, it gets a 1.5-liter MPI engine (or a turbocharged 1.4-liter 4-cylinder as well) which should make it even more affordable. It’s the same one found in the Santana GTS and for that, it makes 110 horsepower and 145 Nm of torque. The sole transmission is a 6-speed automatic also shared with the Santana GTS. The best part? In China, the most affordable T-Cross starts at RMB 127,900 or around P 986,800. Given that the Santana GTS is sold at P 999,000 while the Lavida is at P 1,171,000, Volkswagen Philippines can easily slot the T-Cross in at around the million mark. This puts it in contention with the China-sourced Ford EcoSport which is priced between P 1,028,000 and P 1,098,000 for the non-turbo automatic transmission models.